This second edition synthesizes the emerging knowledge base on the diversity of stepfamilies, their inherent concerns, and why so relatively little is still known about them. 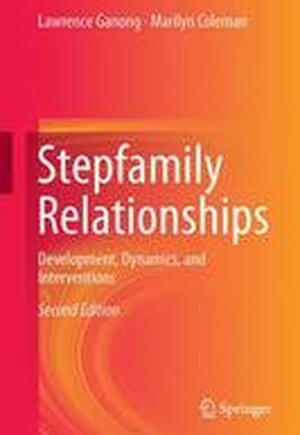 Its extensive findings shed needed light on family arrangements relatively new to the literature (e.g., cohabitating stepparents), the effects of these relationships on different family members (e.g., stepsiblings, stepgrandparents), the experiences of gay and lesbian stepfamilies, and the stigma against non-nuclear families. Coverage reviews effective therapeutic and counseling interventions for emotional, familial, and social challenges of stepfamilies, as well as the merits of family education and self-help programs. The authors explore prevailing myths about marriage, divorce, and stepfamily life while expanding the limits of stepfamily research. Among the topics included: *	The cultural context of stepfamilies. *	Couple dynamics in stepfamilies. *	Gay and lesbian couples in stepfamilies. *	The dynamics of stepparenting. *	Siblings, half-siblings, and stepsiblings. *	Effects of stepfamily living on children. *	Clinical perspectives on stepfamily dynamics. For researchers and clinicians who work with families, it enriches the literature as it offers insights and guidelines for effective practice as well as possible avenues for future research. Studying (and Understanding) Stepfamilies.- The Cultural Context of Stepfamilies.- Pathways.- Courtship in Stepfamilies.- Couple Dynamics in Stepfamilies.- Gay and Lesbian Couples in Stepfamilies.- The Dynamics of Parenting in Stepfamilies.- The Dynamics of Stepparenting.- Effects of Stepfamily Living on Children.- Siblings, Half-siblings, and Stepsiblings.- Grandparents and Stepgrandparents.- Clinical Perspectives on Stepfamily Dynamics.- Working with Stepfamilies.- Challenges and Concerns in the Study of Stepfamilies.